Time to do some plotting! 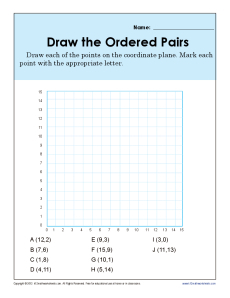 In this worksheet, your student will take an ordered pair and draw it on a coordinate plane. It's perfect practice for Common Core Standards for 5th grade Geometry. It can also be used for other grades as a review or as needed.